Want to make a quick, healthy and delicious Mexican meal at home? Admittedly, some pre-packaged taco shells are bland, flavorless and a bit tough. Then Garden of Eatin’ created their taco shells. Available in yellow and blue corn, these shells are light, crispy and made with organic stone-ground corn. Two taco shells have only 140 calories, 7g of fat, 17g of total carbohydrates, 1g of fiber, and 2g of protein. Find more information at www.gardenofeatin.com, and check the price on Amazon. Need a better-for-you frozen meal? 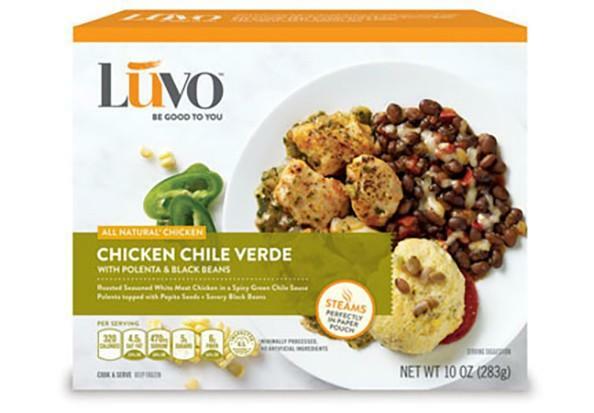 Luvo steam-in-pouch meals are loaded with vegetables, whole grains, and protein, and all have less than 400 calories and 500 mg in sodium serving. Currently, there are eight delicious steam-in-pouch meal options. 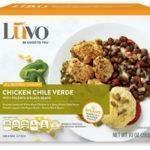 Learn more at www.luvoinc.com. Composed of over 90 percent water, asparagus is low in calories and sodium and is a good source of fiber, vitamins C, E, and K and potassium. Asparagus can be either green or white, and peak season is typically April through June. If you want extremely tender asparagus, look for thinner stalks. Although technically a vegetable and not a fruit, rhubarb is often prepared like a fruit and used in jams, pies, muffins, and other desserts. The color of rhubarb stalks varies from light pink to light green. It is typically available from early April to June. 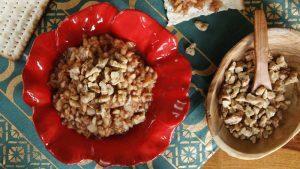 Try using rhubarb as part of a compote or sauce made with a sugar-substitute like stevia for a lower-calorie option. Need help with portion control but don’t want to measure every snack? Try purchasing a set of beautiful ceramic measuring bowls. Try the Pioneer Woman’s Flea Market four-piece set, available on Amazon. Want an environmentally friendly alternative to disposable, plastic sandwich and snack bags? Try Reuseit reusable sandwich and snack bags. Dishwasher and freezer safe, these bags are free of BPA, PVC, latex, and phthalates. For more information, visit www.reuseit.com, and check the price on Amazon. Q: Is the ketogenic diet right for me? A: The ketogenic diet was introduced in the 1920s to treat epilepsy and was widely used for about two decades to help manage this condition. Recently, the ketogenic diet’s popularity has resurged as a strategy to lose weight quickly. The diet is very high fat and extremely low in carbohydrates with the purpose of putting the body into ketosis to use fat as fuel. This approach is not balanced and isn’t a healthy meal pattern for individuals with diabetes and may not be advised for others dealing with various medical conditions. Bottom-line: Break up with “dieting” and focus on developing lifelong mindful eating practices. 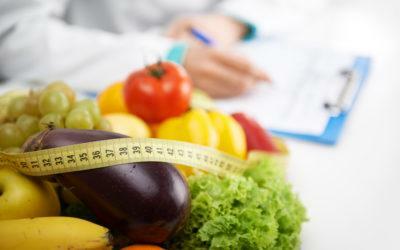 Do you have any questions you want answered by the registered dietitian? Send an e-mail to [email protected]. Alison Massey MS, RD, LDN, CDE is a registered dietitian and Certified Diabetes Educator in Maryland. She is the owner of The Simple Ingredient LLC www.thesimpleingredient.com.